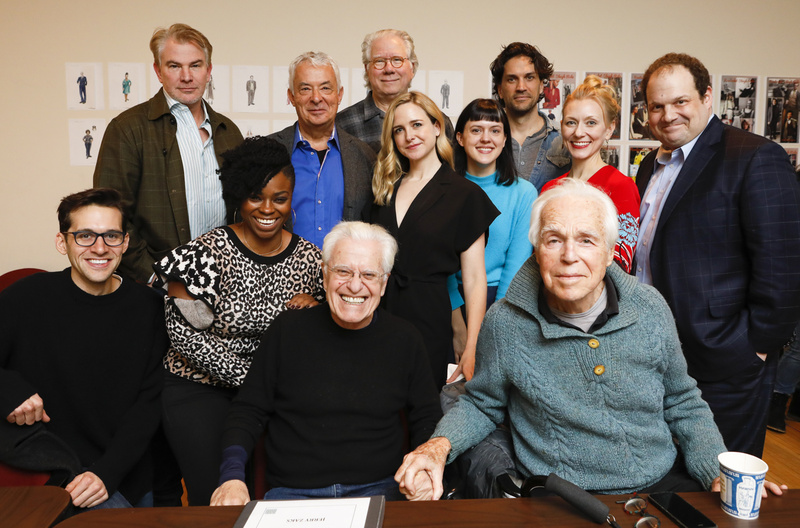 The cast of "Nantucket Sleigh Ride"
The star-studded cast of Tony winner John Guare's Nantucket Sleigh Ride celebrated the first day of rehearsal at Lincoln Center Theater on January 17. The new work, directed by Tony winner Jerry Zaks, features Tony winner John Larroquette, Tony nominees Will Swenson and Douglas Sills, Adam Chanler-Berat, Clea Alsip, Tina Benko, Grace Rex, Stacey Sargeant and Jordan Gelber. Get a first look of the cast in rehearsal before their first performance on February 21!